Good, Old News... - Sauber Mfg. Co.
We were recently invited to see just how well an upfront investment in quality Sauber equipment and a galvanized structure has paid off for our customer. 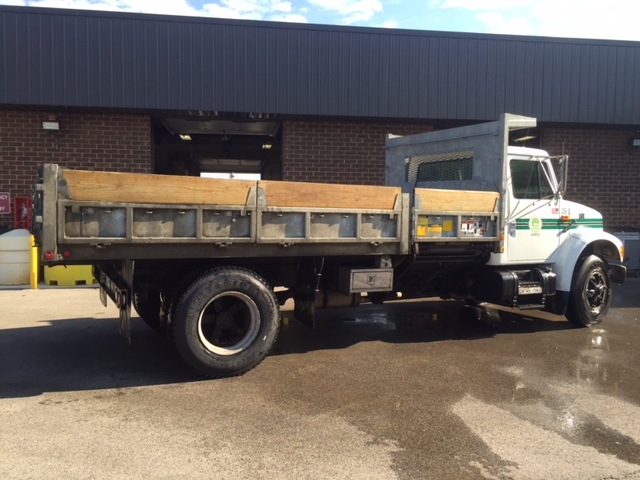 Below are pictures of a 2005 Dump Truck that’s been in continuous use at a local Park District, and then, 11 years later, the same unit. This is a long-term investment that really saved money over a low-cost bid alternative. Re-mountable, this Dump Body will outlast the chassis with ease.